With a programmable thermostat, you can set your air conditioner to be turned off at night when it is coolest and you are least active. A smart thermostat allows you to control your air conditioner from anywhere using your smartphone,and may allow more sophisticated energy-saving cooling schedules. The U.S. Department of Energy recommends setting your thermostat to 78F (26C) when you are home and 88F (31C) when you're away or asleep. Stay cool and comfortable at a warmer temperature by using the tips below. All the vents in your home -- those that blow cool air in as well as the return vents that recycle stale air -- should be clear of furniture and obstructions. The vents should be cleaned regularly to keep them free of dust,and return vents should have their filters changed on schedule. Air should flow through the system in a tightly controlled loop, so if you have holes or gaps in your duct system, they should be sealed with aluminum tape, silicone caulk or aluminum patches. 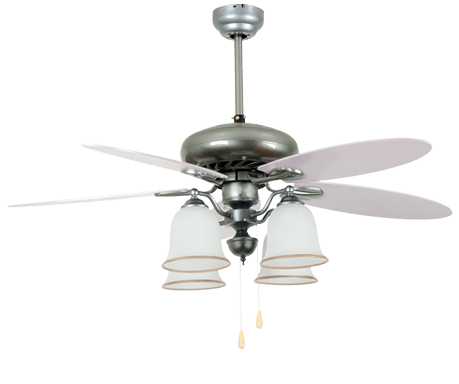 Ceiling fans use less electricity than air conditioners. Ceiling fans use less electricity than air conditioners and allow you to raise the thermostat a few degrees without any reduction in comfort. Just make sure your fan is turning counterclockwise to create a cooling downdraft. Consider keeping your windows open in the evening and overnight to allow cooler air into your home, and don't forget to turn off your air conditioner. Close the windows during the day to keep the cool air in and the warm air out. Those living in rural areas can save on energy costs by planting shade trees and shrubs as solar shields. In summer, leafy trees can block harsh sunlight from your windows and make your air conditioner's job easier. You can plant shade trees on the east, west and northwest sides of your home to provide shade where it counts. As an alternative to planting trees, awnings can provide more flexibility for seasonal energy savings. Use awnings and overhangs to keep the sun out of south-facing windows in the summers, then take down the awnings to let the sun shine in and save energy during the winter. You could even plan the overhangs so that they'll shade windows from the high summer sun,but let in the lower winter sun. Keep your window treatments drawn on your south and west facing windows during the day to block out as much sun as possible and maintain a cooler indoor temperature. 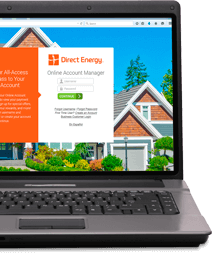 Select high-efficiency, double or triple-paned windows with low-e coatings, argon gas fill and insulated spacers to block outdoor temperatures from getting into your home. Dress in comfortable, lightweight clothing during hot weather so you can stay cool when the thermostat is set a little higher. This strategy can save energy at work just as easily as at home, so consider proposing a summer dress code at your office to help conserve even more. If you plan to use your oven, try to do it at least an hour after sunset to avoid heating your home during the hottest time of day. The same goes for your dishwasher and clothes dryer. Replacing incandescent light bulbs with low-heat LEDs will bring your home's heat production down even further. To keep out unnecessary humidity, use your bathroom exhaust fans after showering and your kitchen exhaust fans when cooking on the stovetop. If it's hot outside, chances are it's even hotter in your attic. There are two ways to make sure that hot air doesn't heat the rooms in the top floor of your home: block out the heat with an insulated attic floor, and expel the heat with vents and fans. Attic insulation should fully cover the floor joists, though the exact recommended thickness varies by climate. Attic ventilation may come from soffit and gable vents, ridge vents, attic fans, roof fans or some combination of these features. Homes with concrete foundations often have moisture problems that begin in the crawlspace, where summertime temperatures are often much lower than those above ground. This can increase indoor humidity, which has a direct effect on air conditioner load. But you can minimize this effect by spreading plastic sheeting between six and eight millimeters thick across the floor of your crawlspace. You can also have your crawlspace permanently sealed through a process called encapsulation. Just like crawlspaces, basements can also let humidity creep into the home and create the risk of mildew and mold. Prevent this problem by making sure your rain gutter system is effectively moving rainwater away from your home. You can also grade your lawn so that water slopes away naturally. If basement moisture problems persist, you may need to have a new vapor barrier installed.